Any UConn sports fan has seen their fair share of drama on the extremely popular “Buy or Sell Uconn tickets” Facebook page. 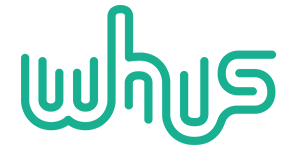 The constant offers and deals, bickering, snide comments and supportive “likes” can be pretty entertaining as you scroll through the page. So who is the kid who got almost 1,500 likes for his last post? On the Buy or Sell page, he is described as “a true husky” and “the hero that UConn deserves”. 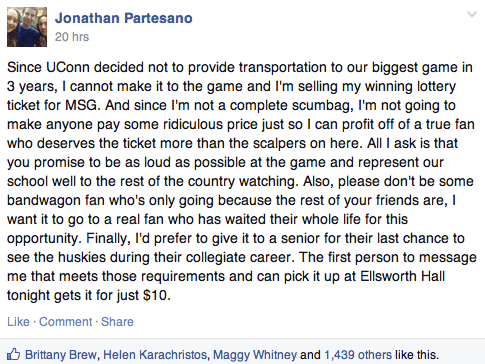 This scalper fighting, Facebook famous, basketball loving superhero is Jonathan (appropriate first name) Partesano. As you can see, Jonathan received 1,439 likes and counting. But it wasn’t all love for Jonathan, of course, because what would a Facebook page full of college students be without a little drama? Although the comment has now been deleted, a student who will remain anonymous posted a comment stating that Jonathan was not all that noble for selling a winning lottery ticket, that he got for free, for $10. Anyone who tried to get a ticket to this past season’s football game versus Michigan knows that students were selling tickets for up to $150 and fellow students were willing to pay that and probably one of their kidneys. So where do you stand? Is Jonathan a noble hero or is he just one of the supplying and demanding Buy or Sell scalpers? 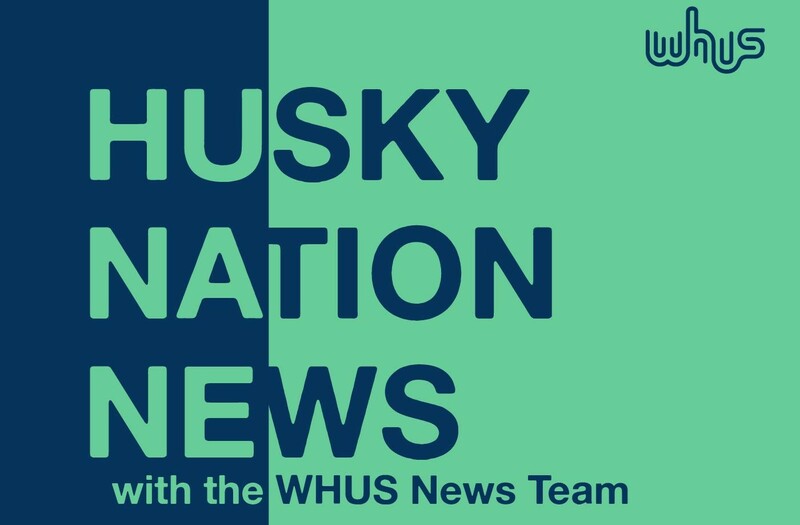 Regardless of the opinions of all you feisty huskies, he sure is receiving a lot of attention for that post. Some students have some pretty interesting suggestions for where Jonathan should take those 1,500 likes..